What is Bart doing? 3. What is Bart doing? Simple actions. Ss match the verbs with the actions, then try to find all the irregular verbs. The above downloadable teaching material was created for elementary school students and kindergartners and nursery school students at Beginner (pre-A1) and Elementary (A1) level. 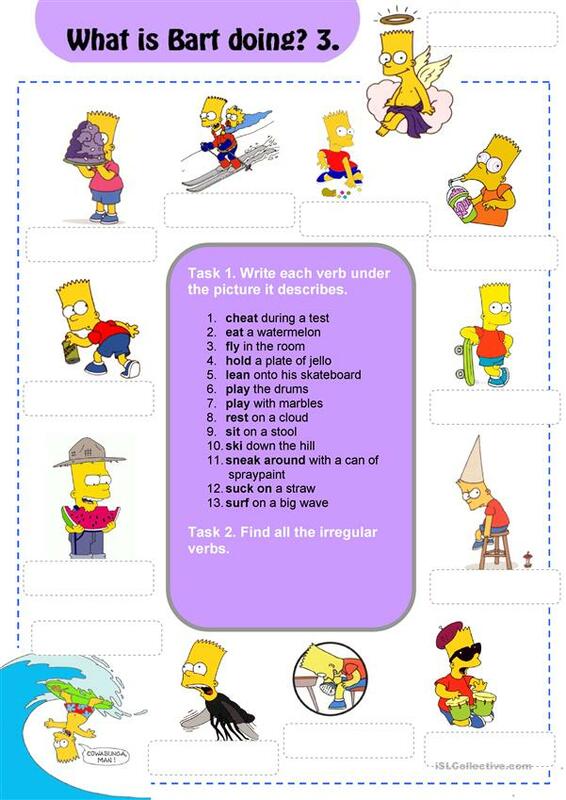 It is aimed at teaching Present continuous (progressive) tense in English. It focuses on the theme of Actions. The exercises come with the solutions.